All frame corners are hand-sanded, resulting in exquisite edges and a perfect finish. 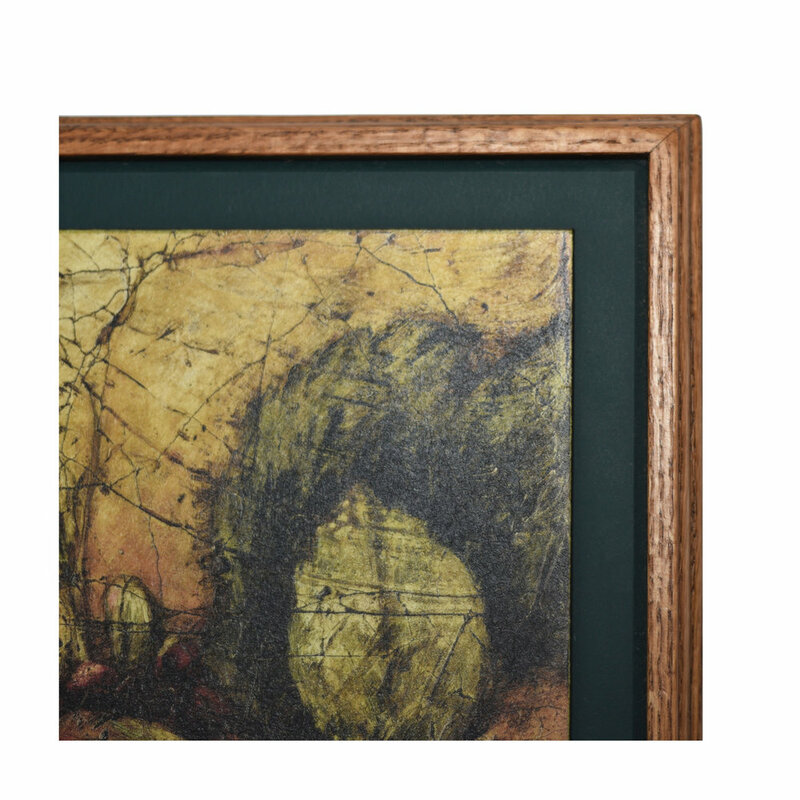 We offer a broad selection of frames, finishes, and mats to ensure your custom order is the centerpiece of your home or office. We are happy to walk you through the custom ordering process and make recommendations based on your space, aesthetic preferences, and budget. We invite you to visit our gallery for an in-person look at our vibrant and everlasting specialty framing and presentation selections. Our frameless option creates a minimalistic presentation that focuses attention on the artwork itself. With a sturdy wood base and hand-applied, textured finishing process, this unique presentation of a photo or print will last a lifetime without yellowing or fading. Our custom process in a beautifully hand-crafted oak frame. 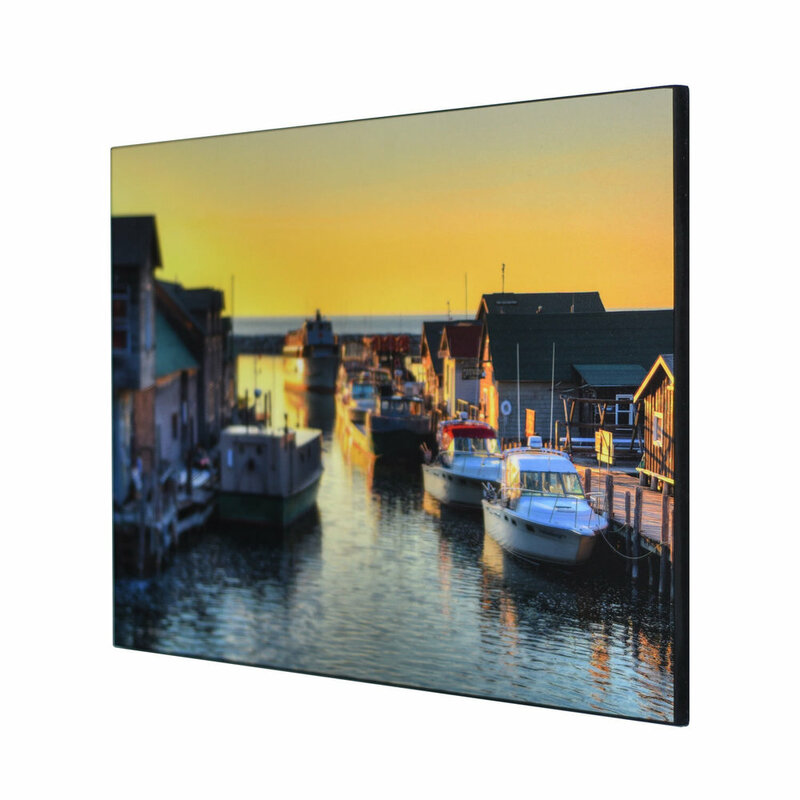 This sleek, contemporary design is 1.5’’ deep and features ¾” standard matting. Custom order options can include additional matting sizes and features. Our custom process in beautifully hand-crafted oak frame. This sleek, contemporary design is 2’’ deep and features 2’’ standard matting. Custom order options can include additional matting sizes and features. 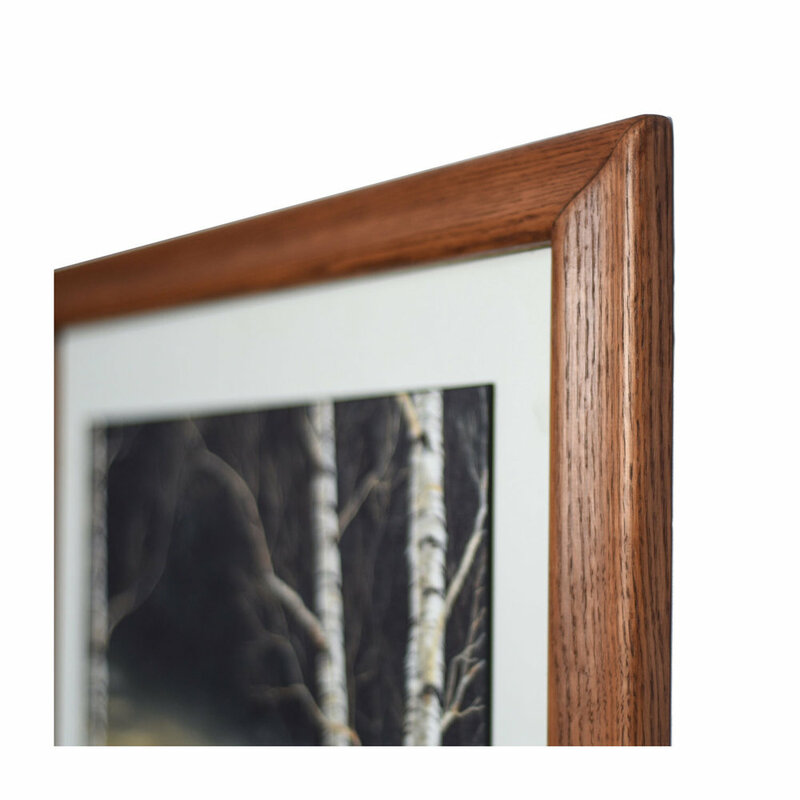 Our classic and traditional hand-crafted oak frame with a fine detailed edge. 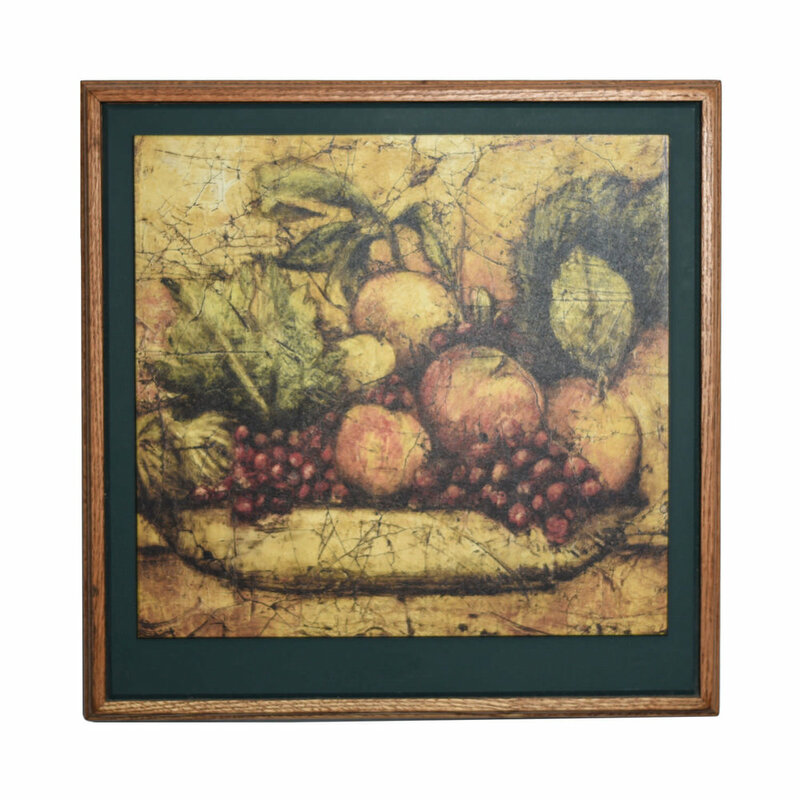 This timeless, traditional design typically features ¾” matting. Custom order options can include additional matting sizes and features. A simple and complimentary design to present your most cherished art. 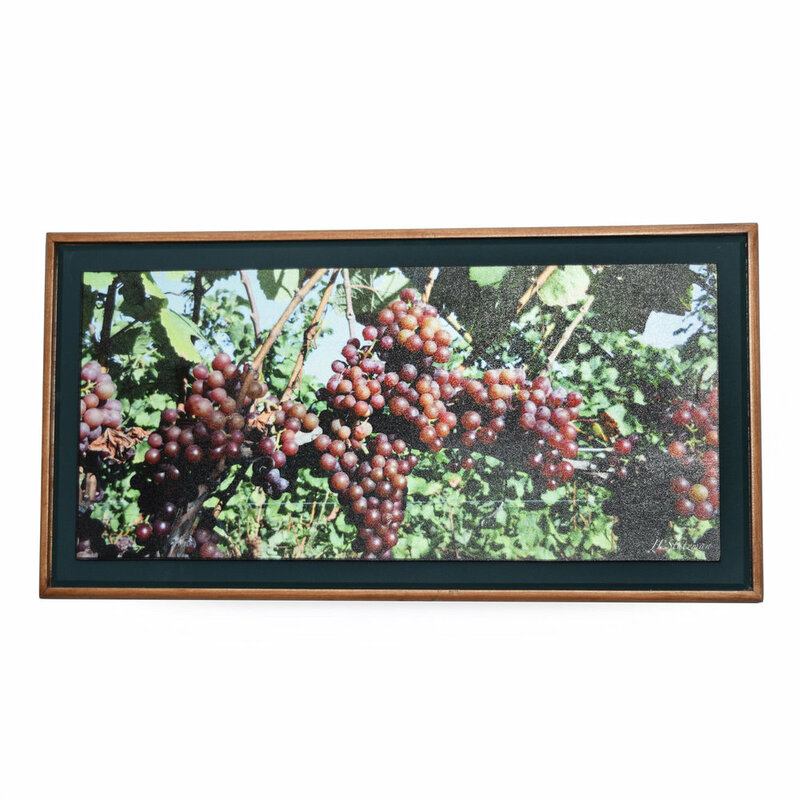 This classic style frame typically features 1.5” matting. Custom order options can include additional matting sizes and features. 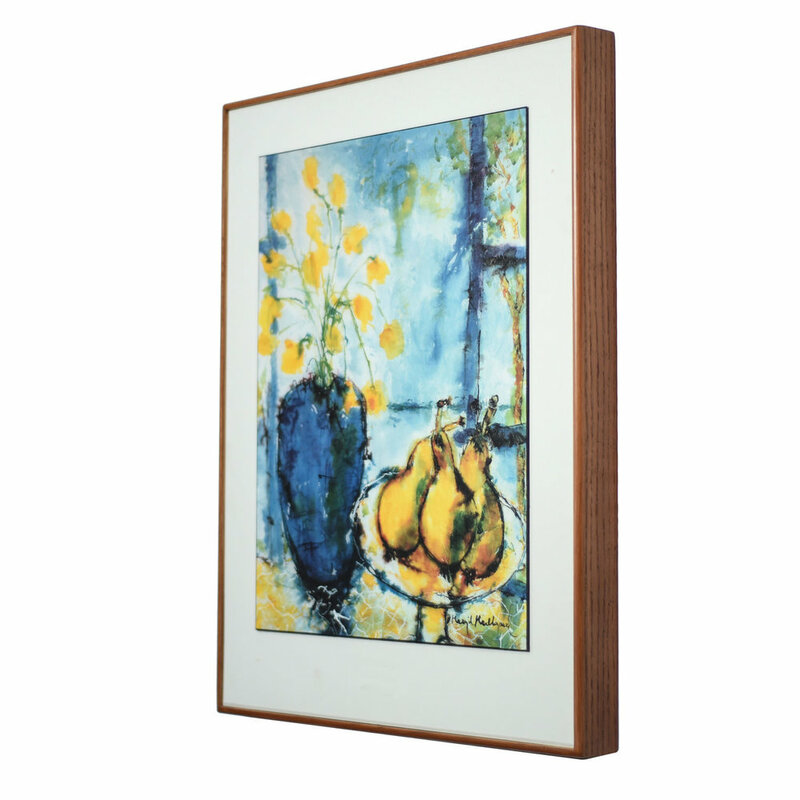 Our extra wide oak frame gives a distinct style with soft curves and elegant details. Choose from multiple stain finishes and various mat colors. 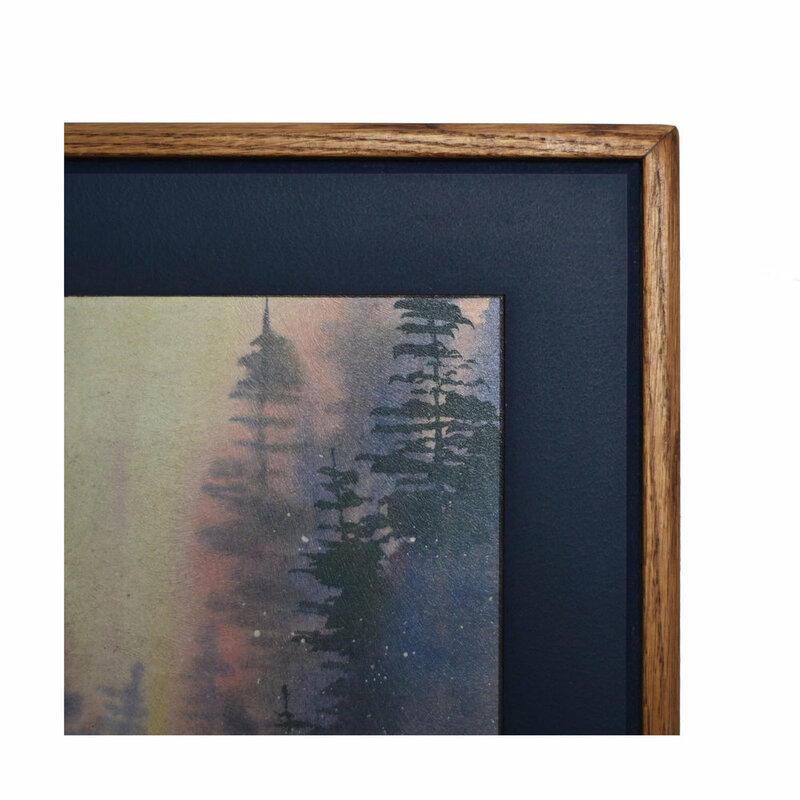 *Extra wide framing is available on custom orders only. Made to order finishes make all the difference. The Wooden Gallery Process™ allows every print or photograph to be presented without glass, eliminating glare, reflection, and breakage. 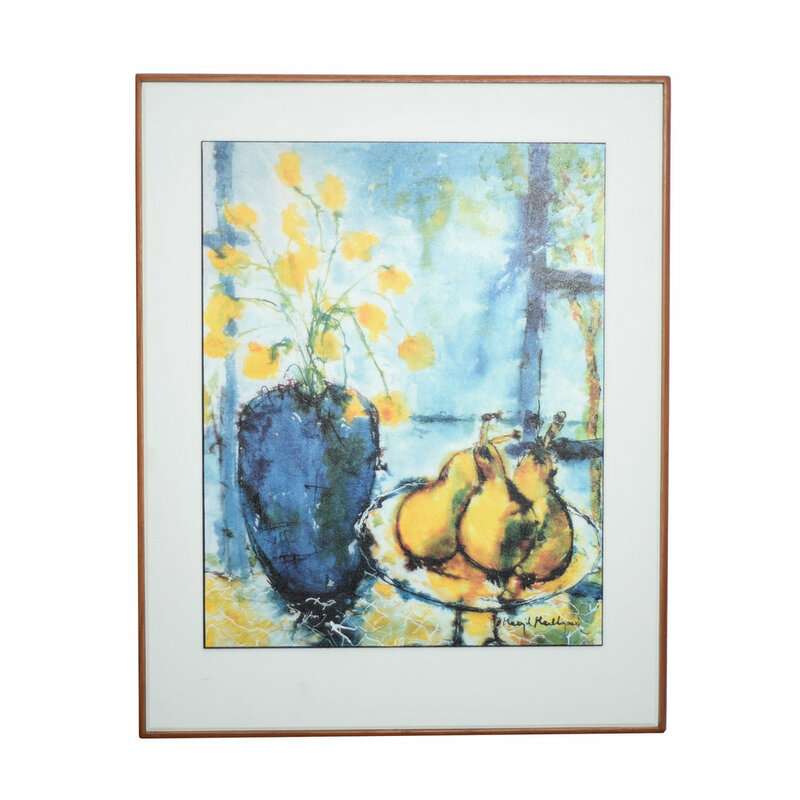 All framed pieces come in six finishes and with your choices of a mat or matless presentation.